Travis Scott and Nike are going all in on their upcoming projects. This week, Scott finally revealed the low iteration of his signature Air Jordan 1 Low, and while there is no upcoming release, we finally have a good look at the silhouette. Travis Scott is about to be Nike’s next big thing. The Houston rapper first released a collaborative project with the Swoosh back in 2017, and spent 2018 building upon their success by way of several new additions to their footwear lineup. Now, as we dive deeper in 2019, more and more leaks have begun to surface in regards to their upcoming silhouettes for the year. 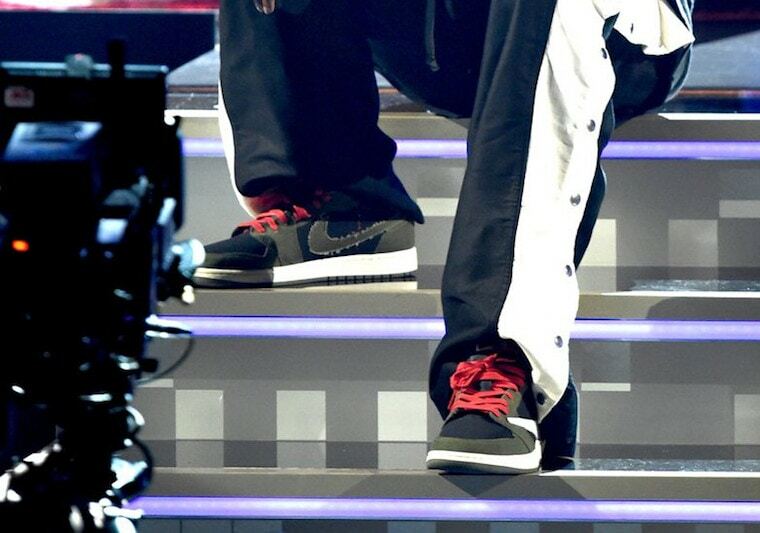 First up was the Air Jordan 1 High, which debuted during Scott’s Super Bowl Halftime shoe before releasing in extremely exclusive numbers during his performance at the Grammy Awards. 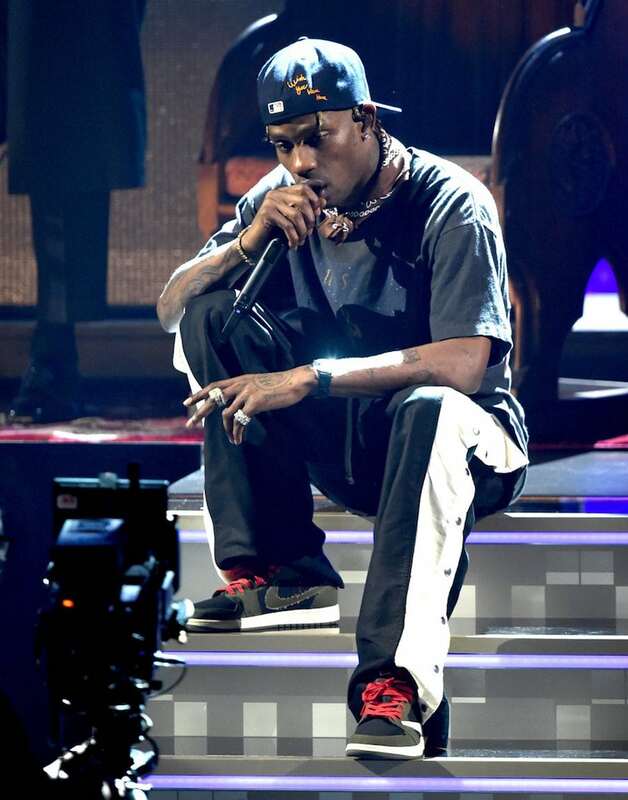 However, during that secondary performance, La Flame took the opportunity to show off yet another Air Jordan decorated in his signature style. This time around, the Jordan 1 Low is the silhouette of choice, taking closely after the similar High version. 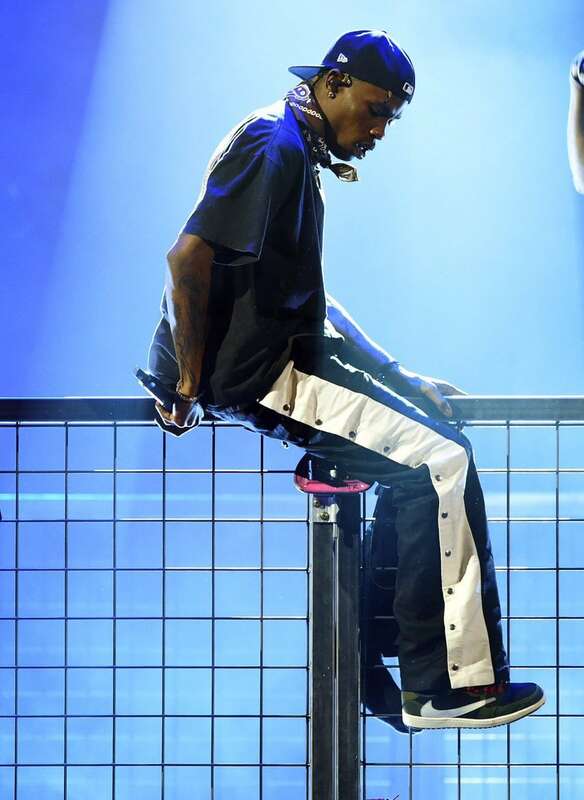 Travis Scott’s Air Jordan 1 Low begins with dark black leather paneling for most of the shoe, overlayed with dark Mocha brown around the toe box and heel segments. The reverse Swoosh is also a prominent feature of this pair, taking over the lateral side in stark white. Additionally, the inside Swoosh on these shoes is custom as well, seemingly made from a rough cut canvas-like material. While there will likely be multiple lacing options for this pair, Travis opted with the bright red look for his performance. Travis Scott’s special edition Air Jordan 1 Low is not expected to launch anytime soon, with the preliminary date listed as April 2019. The price for these alternate Jordans has not been announced yet, though they will likely cost more than their standard $120 low-top counterparts. 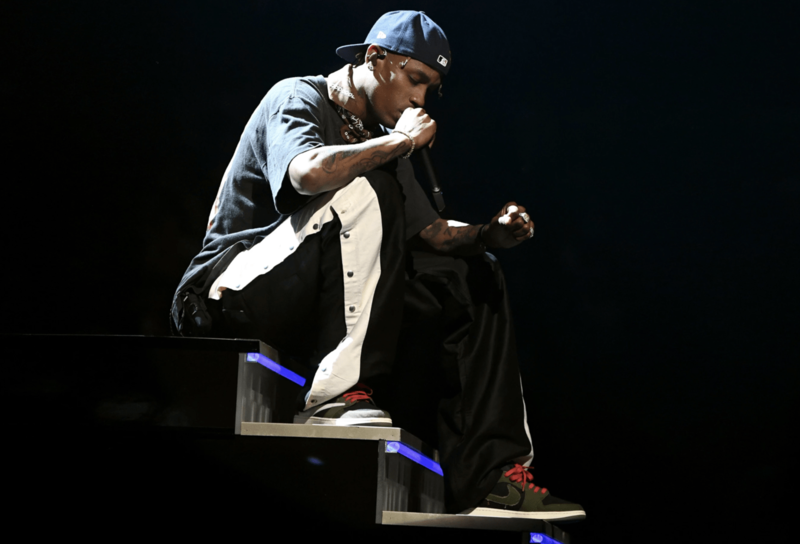 Check out the early images from Travis’ Grammy performance for a better look, and stay tuned to JustFreshKicks for more Travis Scott x Nike news. The post Travis Scott Debuts the Upcoming Air Jordan 1 Low appeared first on JustFreshKicks.